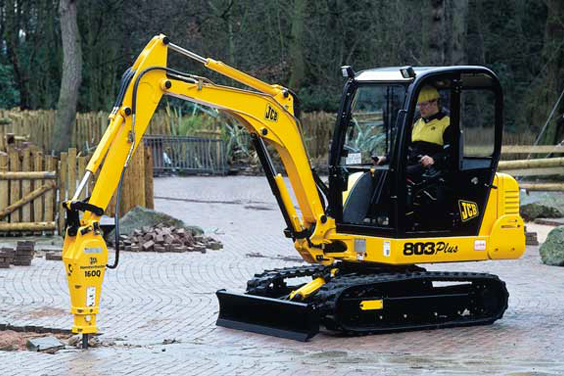 JCB – 803 Mini Excavator « A.P. Webb Plant Hire Ltd. The 803 delivers great performance despite it’s compact size. Powerful Nachi slew motor with improved slew speed and torque. Excellent visibility even in confined spaces. Great resistance from site damage to cooling systems, even in the most arduous conditions.